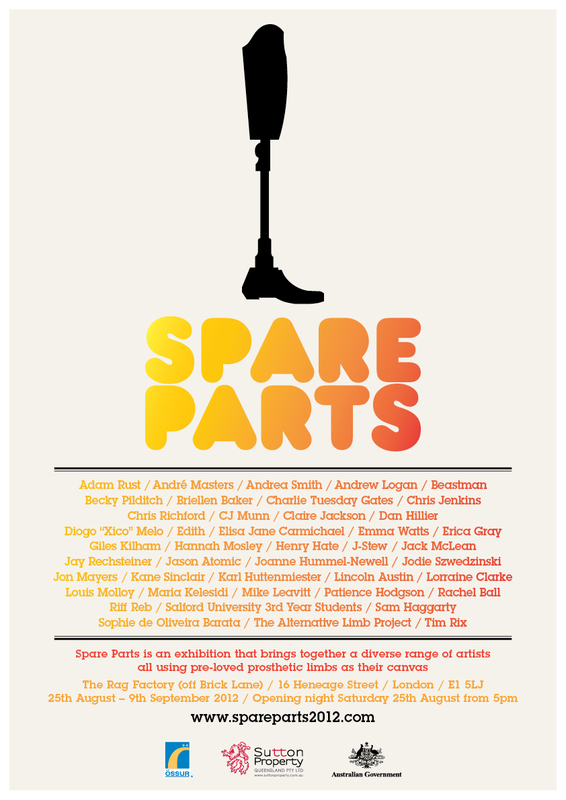 Unlimited is not the only show in town to be celebrating disabled art. 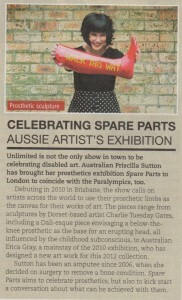 Australian Priscilla Sutton has bought her prosthetics exhibition Spare Parts to London to coincide with the Paralympics, too. 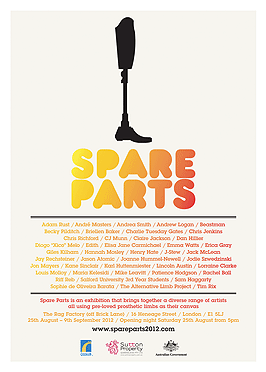 Debuting in 2010 in Brisbane, the show calls on artists across the world to use their prosthetic limbs as the canvas for their works of art. 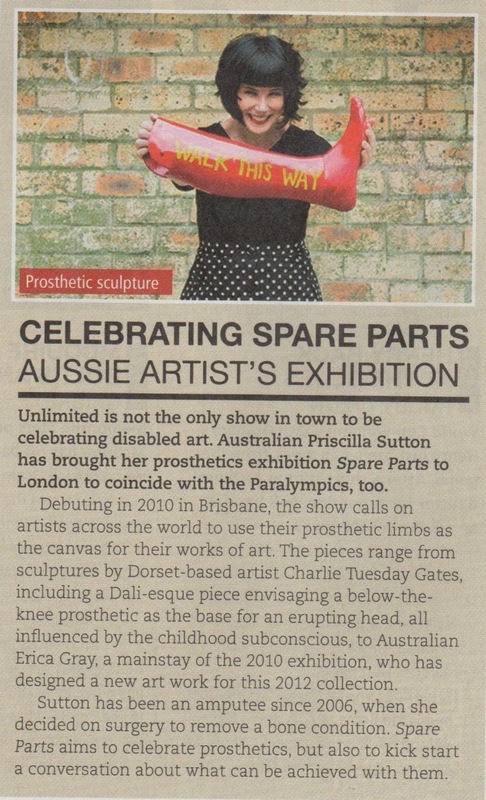 The pieces range from sculptures by Dorset-based artist Charlie Tuesday Gates, including a Dali-esque piece envisaging a below-the-knee prosthetic as the base for an erupting head, all influenced by the childhood subconscious, to Australian Erica Gray, a mainstay of the 2010 exhibition who has designed new artwork for this 2012 collection. Sutton has been an amputee since 2006, when she decided on surgery to remove a bone condition. 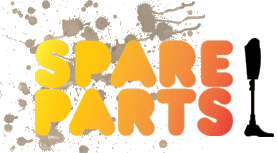 Spare Parts aims to kick start a conversation about what can be achieved with them.